So, I had big plans that I was going to work ahead on the cleaning projects before I left for North Carolina today, but that didn’t happen. I did leave the house pretty clean, but I didn’t get any pictures and I didn’t do any special projects specifically for the 30-Day Challenge. However, I thought that it’d be fun to share two of my most popular posts the next two days — both related to keeping the house clean. Post #1 is a Q&A post I did answering a question from a reader who asked: How do you keep your kitchen countertops cleaned off? If you’d like to know the answer to that question, you can read my detailed explanation here. I chose my kitchen, dirtiest area out of all of them. Do you find some of these too be too repetitive? Have a wonderful trip to NC! I hope I can listen in! I’ve never listened to a live webcast before. I didn’t get pictures today either mainly because there wasn’t much of a before&after difference visible on camera. Being in the habit of cleaning our bathrooms every day and tidying the kitchen before bed every night helps so much! Have a great time in North Carolina! I love cleaning on Monday! It gets the week started out perfectly with everything in order! I worked on pretty much surface cleaning the whole house, but showed pics of my bedroom progress on my blog. 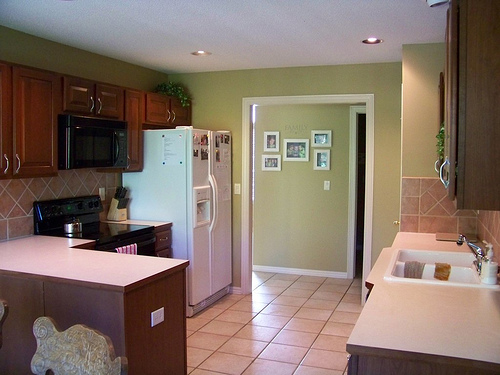 Crystal, I love the color of paint you used on your kitchen walls. I was wondering if you would be willing to share what the color and brand of paint is? Thank you! Today’s challenge was an easy one, because I have been focusing on making surface cleaning a nightly routine. Three weeks ago, it would have taken me substantially more effort to complete these projects. 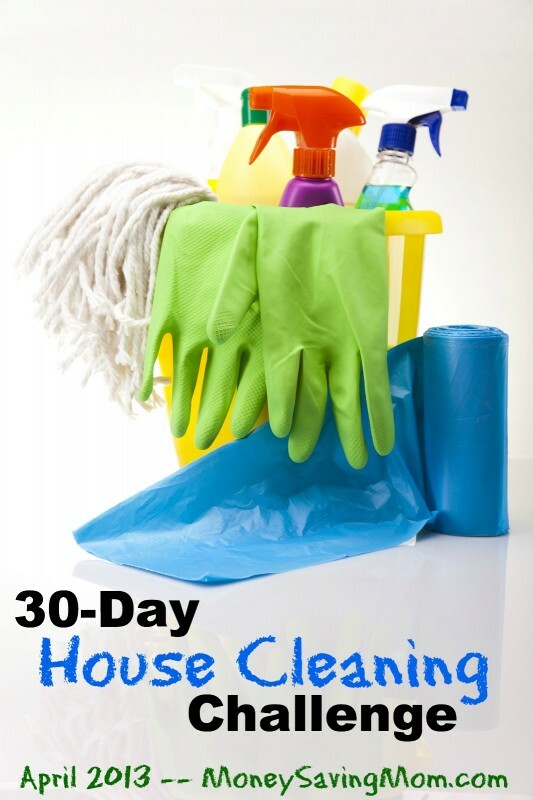 Today I shared the method I am using to align this challenge with my 30 by 30 goal to purge and declutter my home. Thanks so much for the accountability! I clicked through to the explanation and it shows where appliances are stored. That’s not what’s cluttering my kitchen. For us, it is….a glass for each family member, water bottles that are constantly in use, the mail, the newspaper, phones, ipods, ipad, and chargers. Plus my hand-lotion, hand-sanitizer, chapstick, camera, newspaper articles I’ve torn out, and lots of paper from school that is constantly in use or coming / going. I’d love some ideas on corralling things you actually need to have in sight. I’ve adopted decorative trays. Ok. Can you go in greater detail and show us your cabinets. Mine are full of pots and pans and Tupperware. There’s no room to store those big appliances. Do you just have tons of cabinet space? I try to keep my appliances to a minimum and the ones I have I store either in the lazy susan or in the pantry. The one appliance that I can’t fit in either of those places — my Kitchenaid — is actually in a closet in the basement. Enjoyed reading this Q&A post! I may need to start brainstorming how I can shuffle things around in the pantry to get it off the countertops…love the look of a clean and clutter free countertop! Also, it’s crazy to think that Pinterest has been around that long! You mentioned it in this post that was from Sept. 2011. Maybe it’s me, but I still feel like it’s a “new” thing…didn’t realize it’s been around that long already. Time flies, I guess!